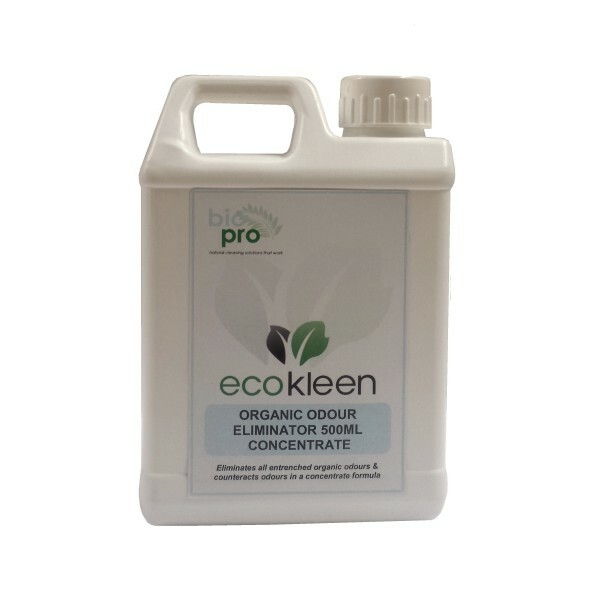 Ecokleen Organic Odour Eliminator by Bio-Pro Research is a versatile odour counteractant specially formulated to remove vomit, bile, faecal, garbage and sewage odours, paint fumes and more from hard and soft surfaces. 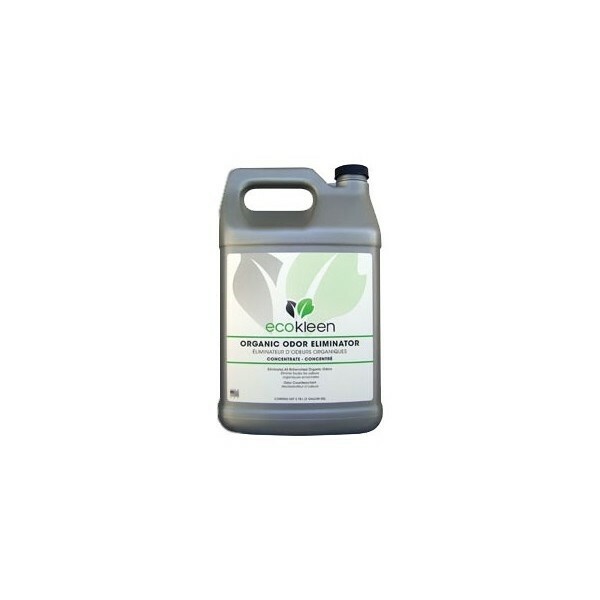 Available in a concentrate and ready-to-use formula. 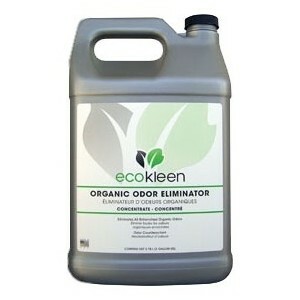 ecokleen Organic Odour Eliminator removes all entrenched organic odours and counteracts odours in a concentrate or ready-to-use formula. 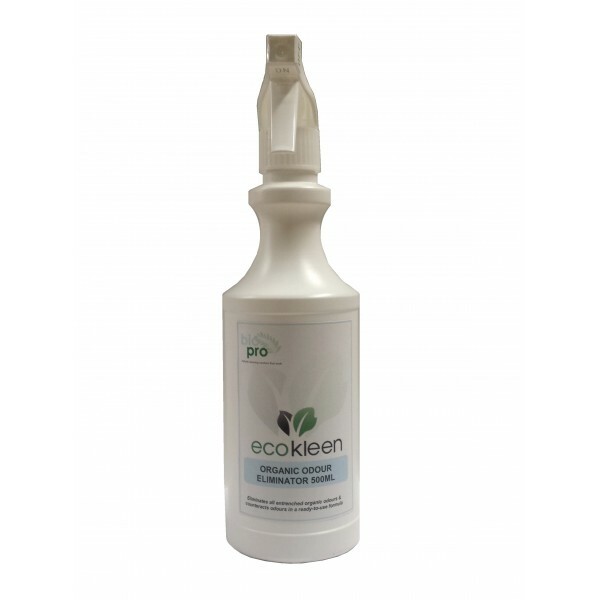 It can be applied with sprayers, in mop water, carpet extractors, floor scrubbers, chemical foggers, and misting systems for large area coverage. 3. 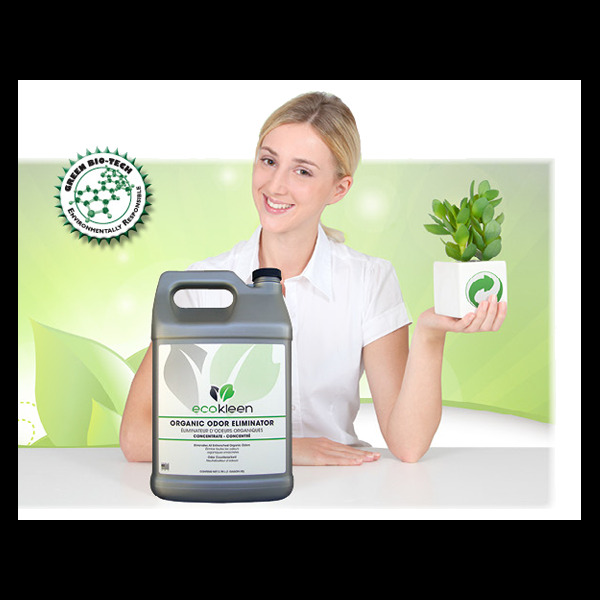 Blot or remove residue with water. Material Safety Data Sheet. Published by Bio-Pro Research.